Using your checking or savings account to give monthly as a Kinship Circle member is easy, secure, and saves time for both you and our staff. In the form below, you simply authorize us to receive a monthly gift from either your checking or saving account. We welcome your partnership and welcome you to the elite group of life-savers, The Kinship Circle! It's easy to make changes or stop your contributions at any time by completing the form below. If you prefer to contact us directly, please call (310) 995-7079 or e-mail us at donations@waterwellsforafrica.org. 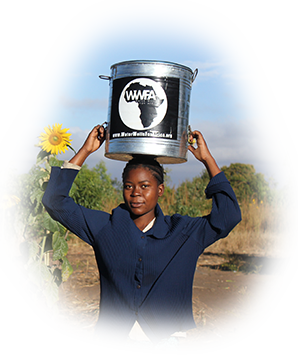 * All donations provided to Water Wells for Africa comply with U.S. laws and regulations. Stay up-to-date on our news and events! Check "yes" to receive our bi-monthly e-newsletter.